The stainless steel ring built into the screw-on lid of the sleek Nimbus offers aesthetic beauty as well as a spill-free experience. 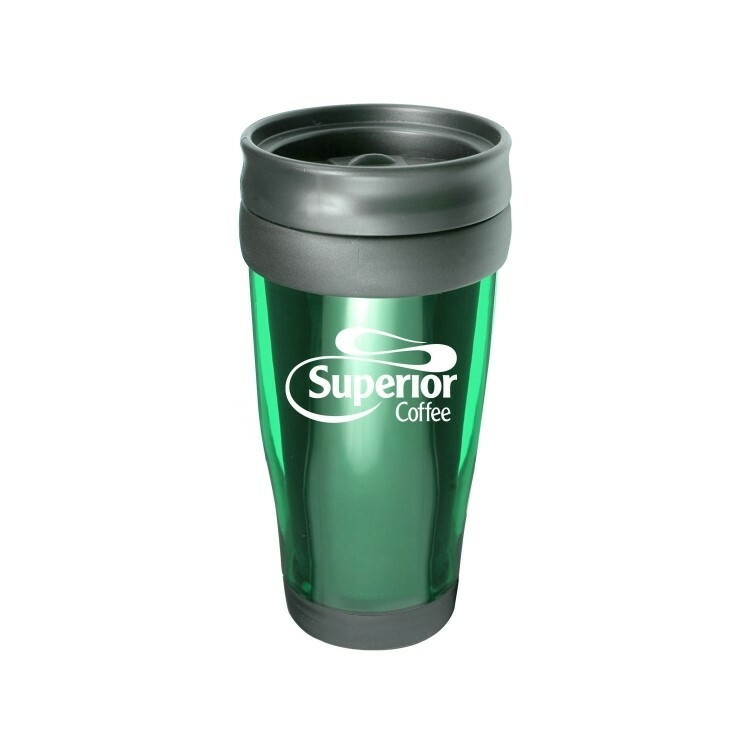 With a large imprinting surface to proudly display any logo, it features stainless steel exterior with a plastic liner. 170g.Capacity 16oz. 16 oz. 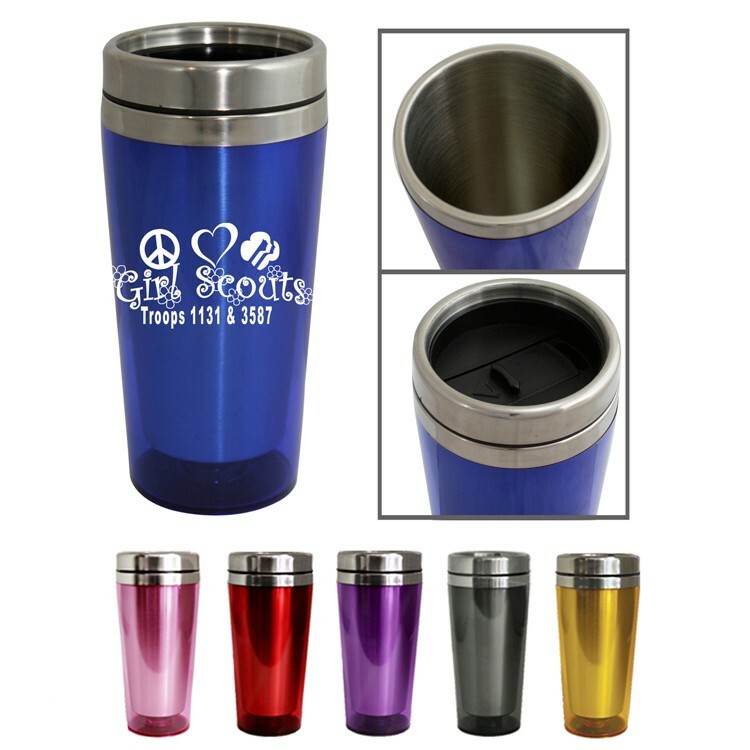 Stainless Steel Tumblers. 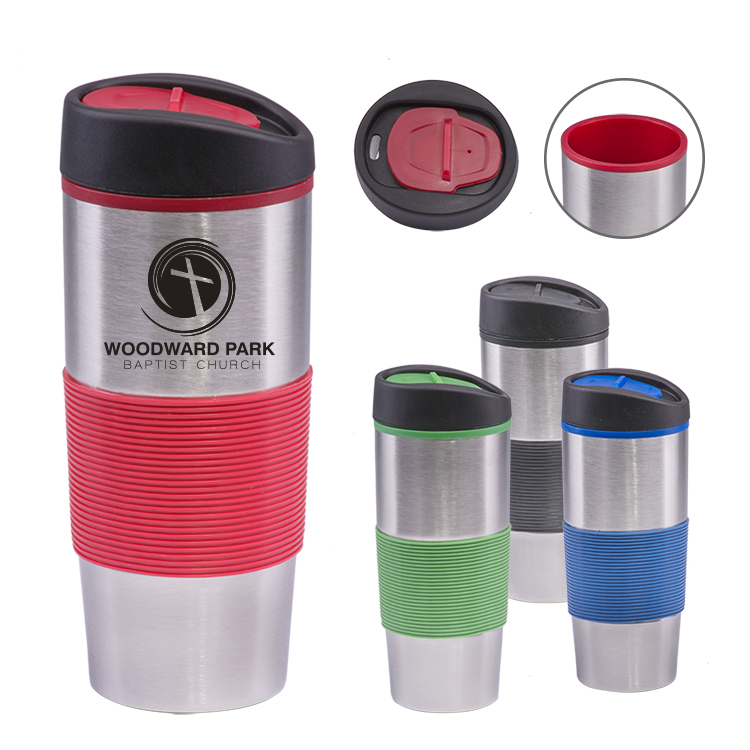 Stainless steel liner helps keep a beverage hot or cold Black leak-resistant, push-on lid with thumb slide-closure is ideal for the car or commuter train. 16oz. 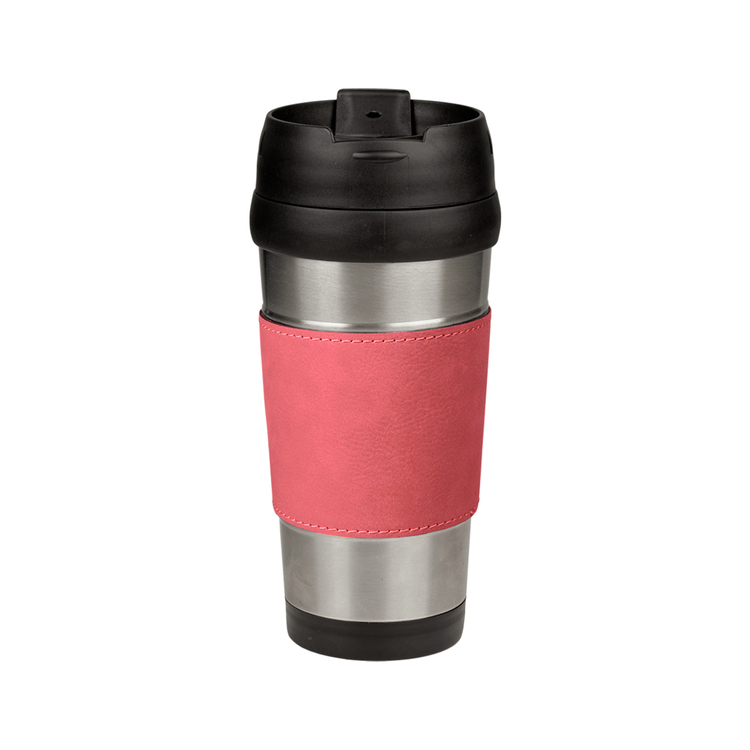 Pink Leatherette Stainless Steel Travel Mug. 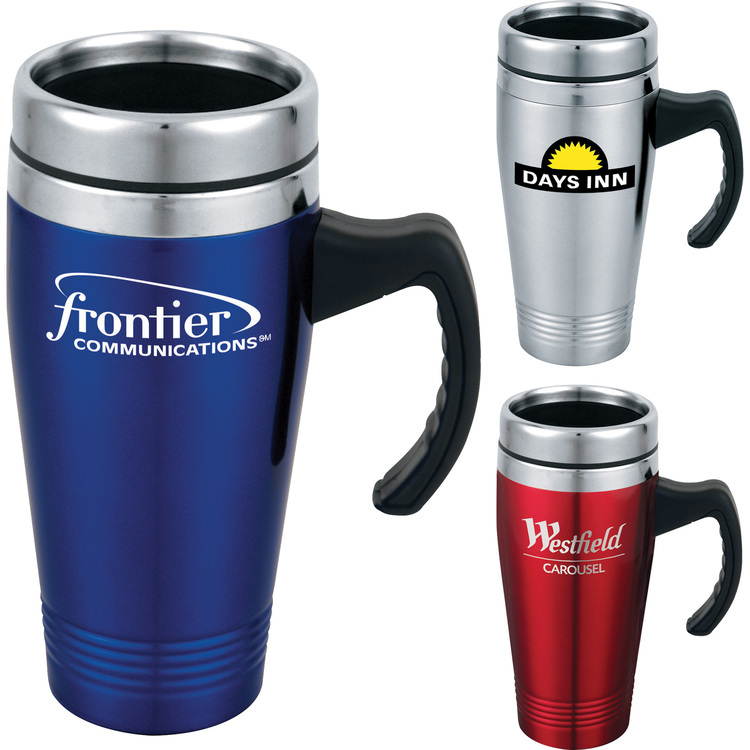 The travel mug has a narrower bottom to fit most standard cup holders. Includes screw on lid with snapping closure. Mug has a BPA free plastic coating on the inside. Not recommended for dishwashers. Repeated use in dishwashers may damage the plastic pieces and/or coating. Hand wash only with water and soap. Laser Engraved leaving an elegant black imprint color. Individually Packaged. The leatherette band is not removable. 16oz. 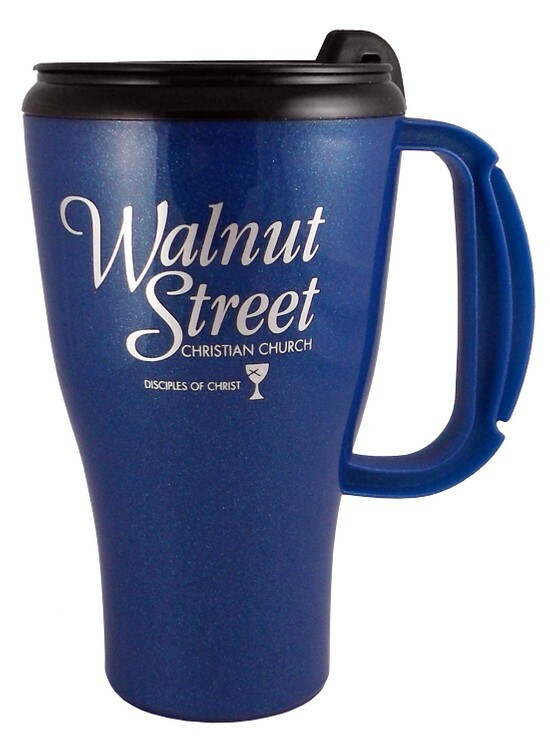 Blue Leatherette Stainless Steel Travel Mug. 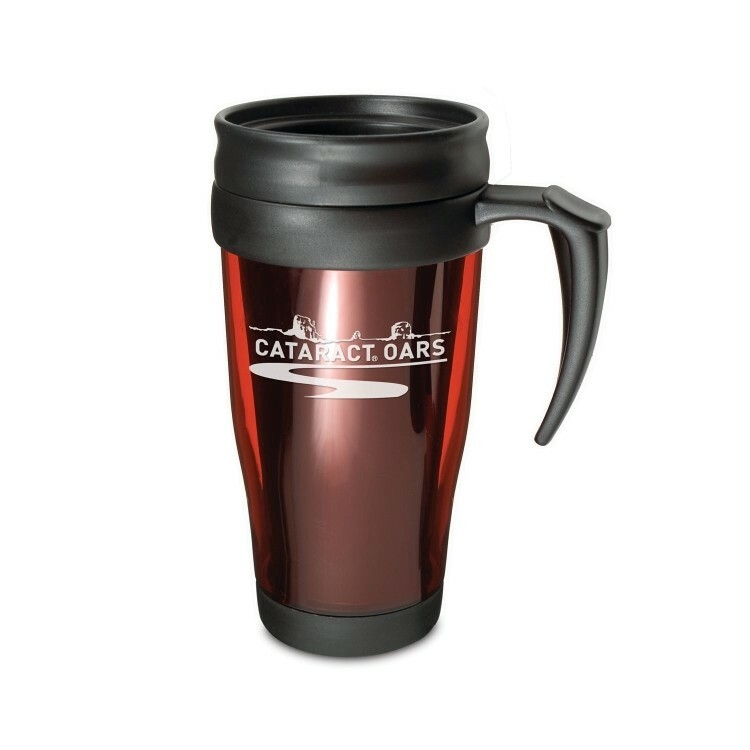 The travel mug has a narrower bottom to fit most standard cup holders. Includes screw on lid with snapping closure. Mug has a BPA free plastic coating on the inside. Not recommended for dishwashers. Repeated use in dishwashers may damage the plastic pieces and/or coating. Hand wash only with water and soap. Laser Engraved leaving an elegant black imprint color. Individually Packaged. The leatherette band is not removable. 16oz. Rawhide Leatherette Stainless Steel Travel Mug. The travel mug has a narrower bottom to fit most standard cup holders. Includes screw on lid with snapping closure. Mug has a BPA free plastic coating on the inside. Not recommended for dishwashers. Repeated use in dishwashers may damage the plastic pieces and/or coating. Hand wash only with water and soap. Laser Engraved leaving an elegant black imprint color. Individually Packaged. The leatherette band is not removable. 16oz. Rose Leatherette Stainless Steel Travel Mug. The travel mug has a narrower bottom to fit most standard cup holders. Includes screw on lid with snapping closure. Mug has a BPA free plastic coating on the inside. Not recommended for dishwashers. Repeated use in dishwashers may damage the plastic pieces and/or coating. Hand wash only with water and soap. Laser Engraved leaving an elegant black imprint color. Individually Packaged. The leatherette band is not removable. 16oz. 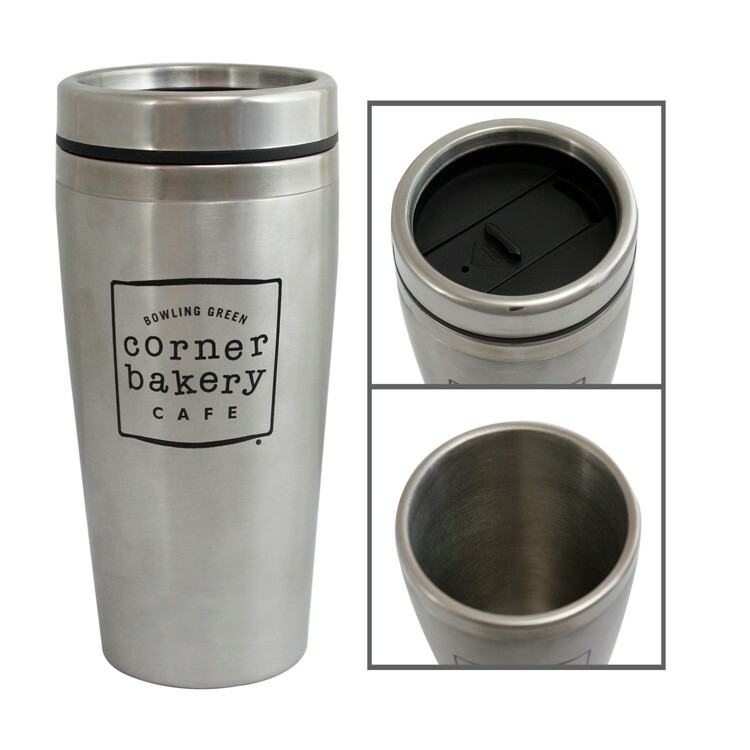 Gray Leatherette Stainless Steel Travel Mug. 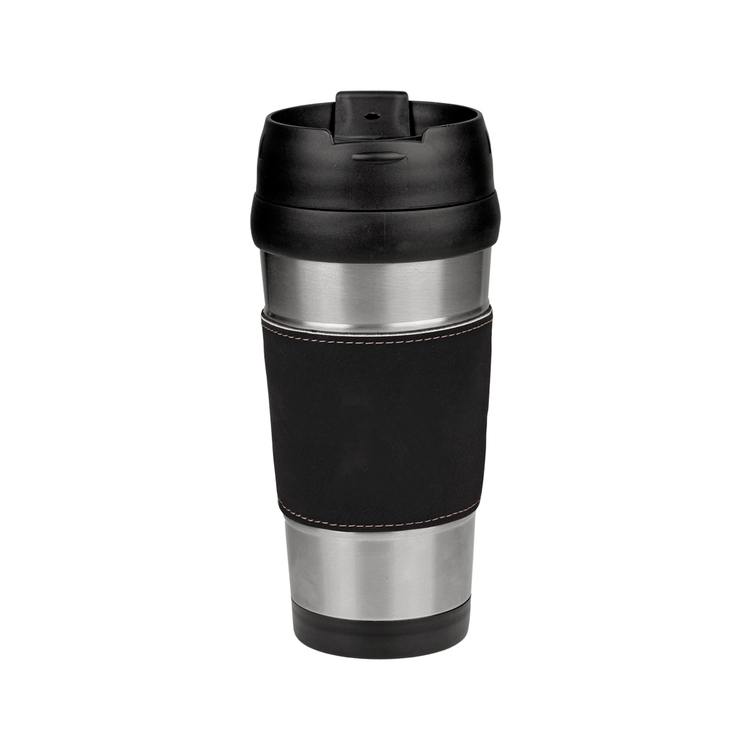 The travel mug has a narrower bottom to fit most standard cup holders. Includes screw on lid with snapping closure. Mug has a BPA free plastic coating on the inside. Not recommended for dishwashers. Repeated use in dishwashers may damage the plastic pieces and/or coating. Hand wash only with water and soap. Laser Engraved leaving an elegant black imprint color. Individually Packaged. The leatherette band is not removable. 16oz. 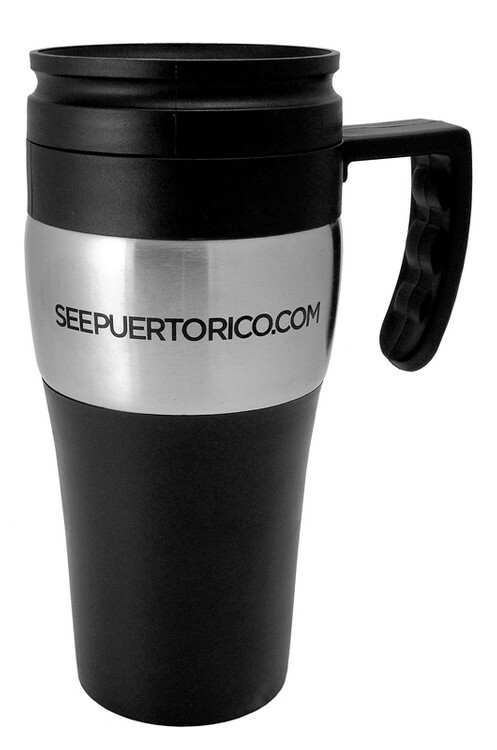 Black/Silver Leatherette Stainless Steel Travel Mug. 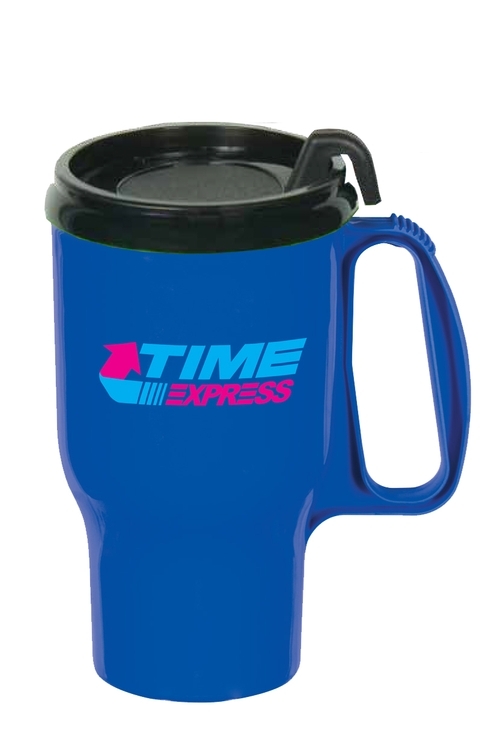 The travel mug has a narrower bottom to fit most standard cup holders. Includes screw on lid with snapping closure. Mug has a BPA free plastic coating on the inside. Not recommended for dishwashers. Repeated use in dishwashers may damage the plastic pieces and/or coating. Hand wash only with water and soap. 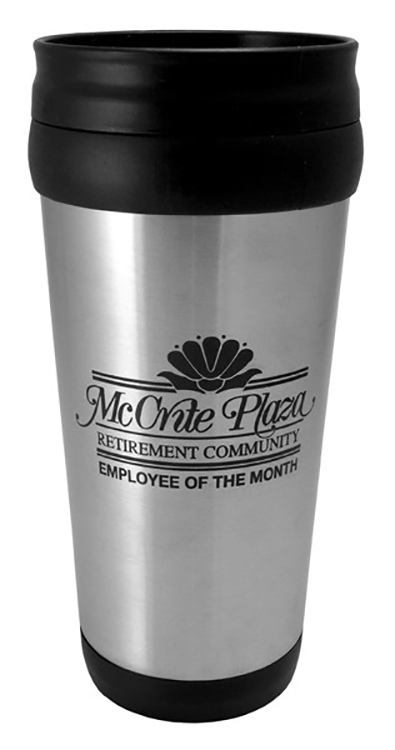 Laser Engraved leaving an elegant silver imprint color. Individually Packaged. The leatherette band is not removable. 16oz. Black/Gold Leatherette Stainless Steel Travel Mug. The travel mug has a narrower bottom to fit most standard cup holders. Includes screw on lid with snapping closure. 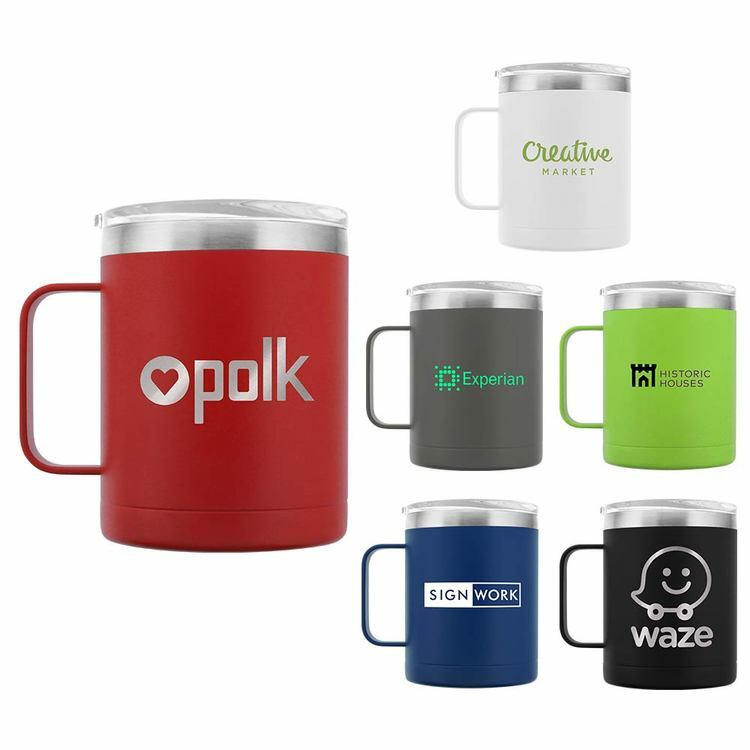 Mug has a BPA free plastic coating on the inside. Not recommended for dishwashers. Repeated use in dishwashers may damage the plastic pieces and/or coating. Hand wash only with water and soap. Laser Engraved leaving an elegant gold imprint color. Individually Packaged. The leatherette band is not removable. 16oz. Light Brown Leatherette Stainless Steel Travel Mug. 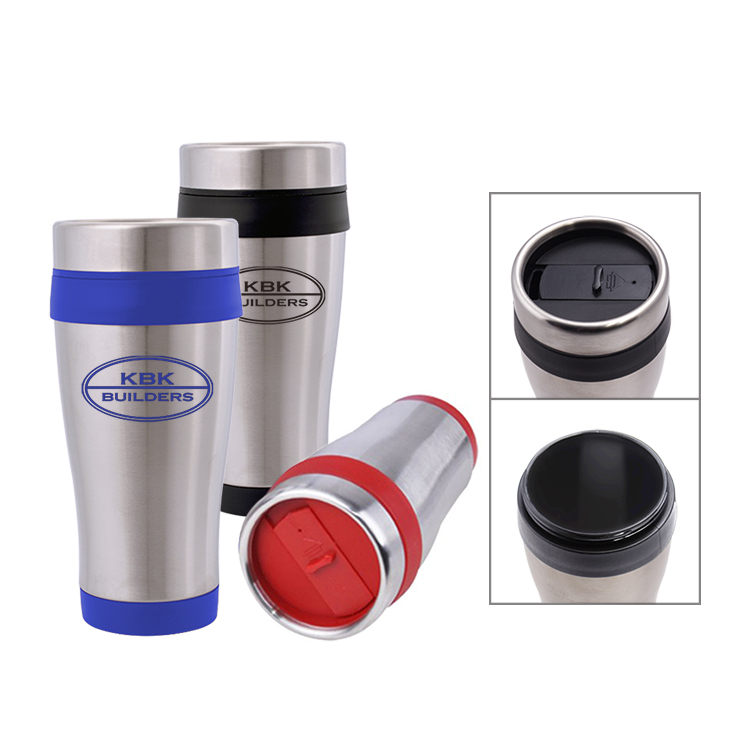 The travel mug has a narrower bottom to fit most standard cup holders. Includes screw on lid with snapping closure. Mug has a BPA free plastic coating on the inside. Not recommended for dishwashers. Repeated use in dishwashers may damage the plastic pieces and/or coating. Hand wash only with water and soap. Laser Engraved leaving an elegant black imprint color. Individually Packaged. The leatherette band is not removable. 16oz. Dark Brown Leatherette Stainless Steel Travel Mug. 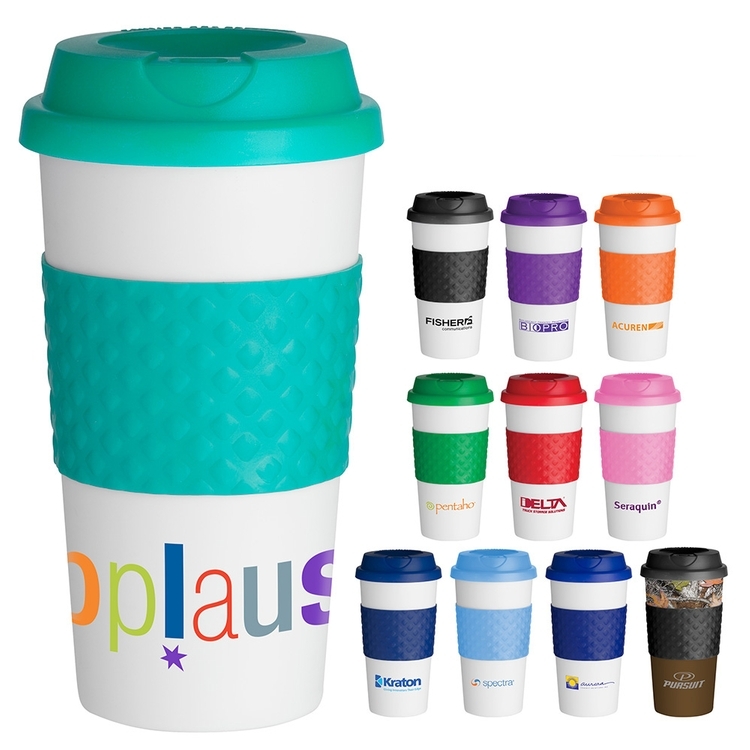 The travel mug has a narrower bottom to fit most standard cup holders. Includes screw on lid with snapping closure. Mug has a BPA free plastic coating on the inside. Not recommended for dishwashers. Repeated use in dishwashers may damage the plastic pieces and/or coating. Hand wash only with water and soap. Laser Engraved leaving an elegant black imprint color. Individually Packaged. The leatherette band is not removable. Early Joe 15 oz. Translucent Travel Tumbler. BPA free. Fits most drink holders. Plastic outer with plastic liner. Double wall insulation keeps drinks hot or cold and twist on lid. 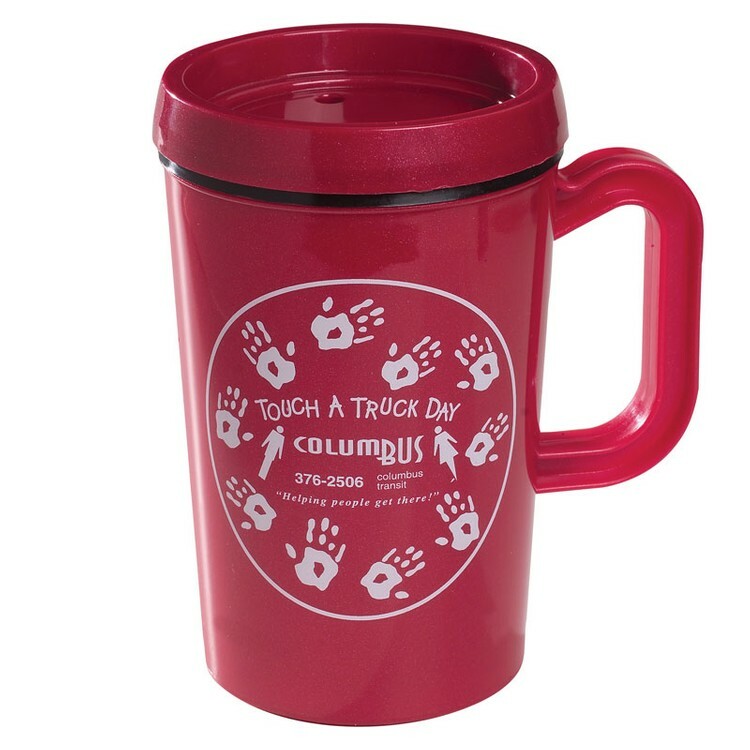 Same color, Second side or wrap imprint at no additional charge. Size: 6 7/8 H x 3 1/4 Upper Diameter. Good Morning 15 oz. 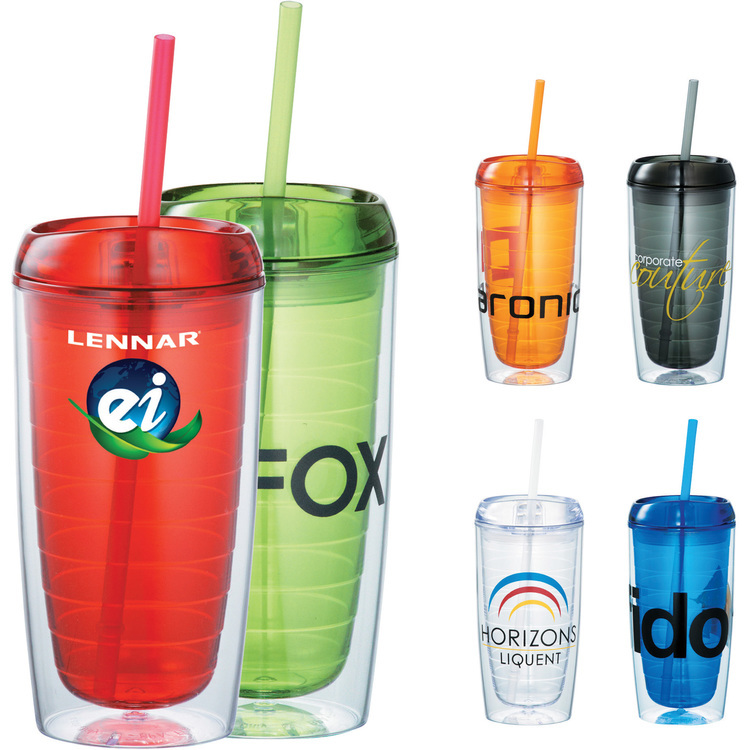 Translucent Travel Tumbler. BPA free. 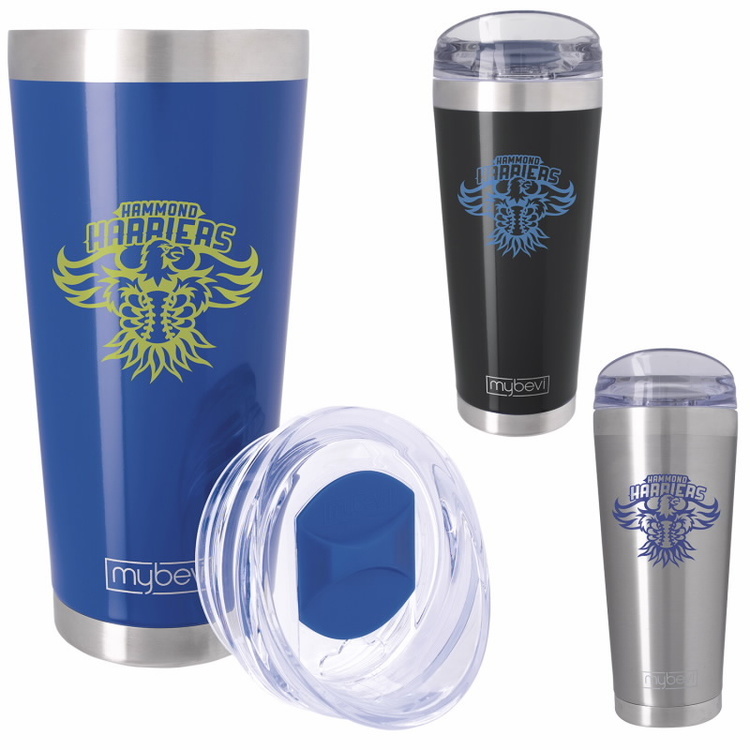 Fits most drink holders and plastic lined. Double wall insulation keeps drinks hot or cold and twist on lid. 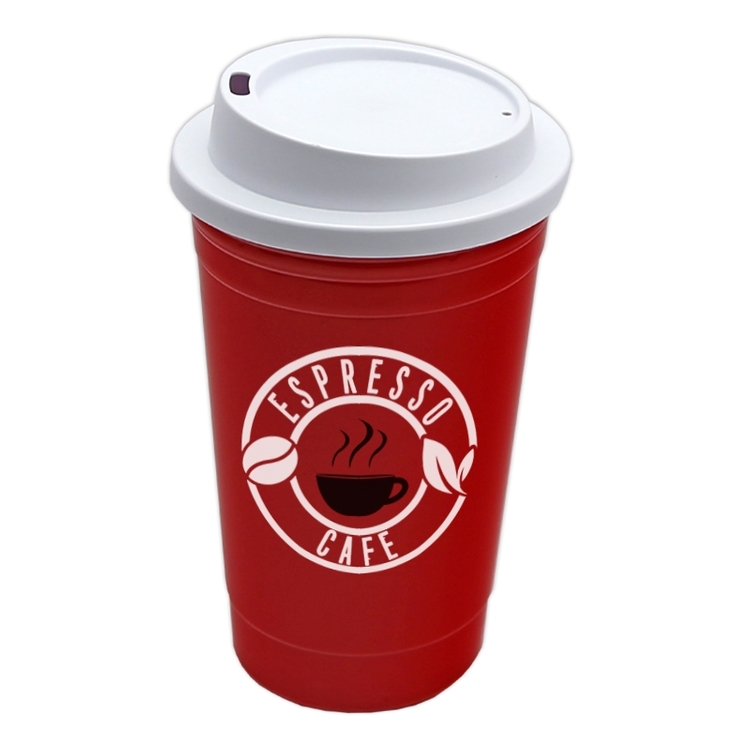 Same color, Second side or wrap imprint at no additional charge. Size: 6 7/8 H x 3 1/4 Upper Diameter. Light Brown Leatherette 2200 mAh Power Bank w/ USB Cord makes a perfect gift for anyone. To clean the leatherette item, you can use a damp cloth and mild soap. Rubbing alcohol will also work, especially for pen marks. The Power Bank comes with a small, silver carabiner.  Input: DC 5V Output: DC 5V Watt Hours: 7.92. The product comes with a USB cord included and the cord is 12 1/2" long. Individually Packaged. Laser Engraved leaving an elegant black imprint color on the top of the power bank.